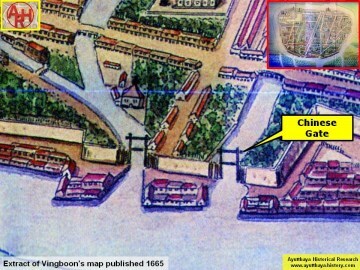 bridges, being Saphan Khun Mueang Jai and Saphan Talat Jin. 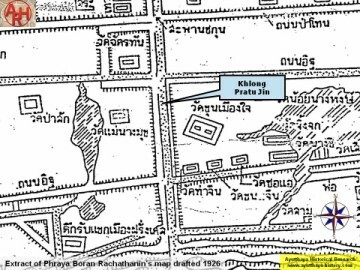 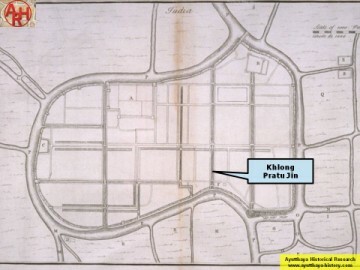 line in 1733 (See Khlong Pratu Khao Pluak). 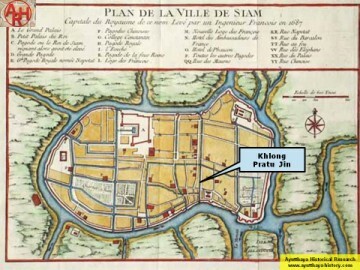 while on the west bank stood Wat Chatthan and Wat Mae Nang Muk.